Maybe your personal budget isn’t as generous as you’d like it to be. Perhaps you’re getting tired of your nine-to-five grind. Or maybe you just want to earn some extra spending money. There are plenty of side hustles for folks in your shoes, from legitimate ways to make money from home, to part-time and seasonal jobs that put cash in your pocket. Now that ride-sharing apps – also known as transportation network companies, or “TNCs” – such as Uber and Lyft are available in most major U.S. cities, you can add hiring yourself out as a personal driver to that list. When you work for a ride-sharing company, you connect with passengers via its app, pick them up in your personal vehicle, drive them to their destination, and accept fares electronically at each ride’s conclusion. You work as an independent contractor, receive payment each week via direct deposit, and don’t have a direct superior – though you do need to maintain a favorable rating from passengers if you want to keep your driving privileges. There are plenty of perks to this gig, from being able to set your own hours, to meeting interesting people in the course of your day. For some people, working as an independent contractor for a ride-sharing service may be preferable to driving a taxi. However, as with any job, there are drawbacks to consider. Before you sign up with Uber, Lyft, or another app, learn more about what it’s like to drive for one and determine whether you’re a good fit for the role. Uber, Lyft, and other transportation network companies are growing rapidly, so you’re guaranteed to earn a spot as a driver as long as you meet the basic qualifications of the role. The same can’t be said for taxi companies, which may only hire at certain times and tend to have more red tape during the hiring process. An Appropriate Vehicle. You must own, lease, or have permission to use (from a friend or family member, who must also have a TNC account) the vehicle you intend to drive with. Though exact vehicle standards vary by company and are subject to change, it generally must be no older than the 2000 model year and be in good working order. Companies verify this with photographs or via in-person inspection. Personal Insurance. Your transportation network company carries commercial insurance policies (covering liability, uninsured motorists, and collision-related damage) that applies when you’re actively seeking or providing rides. However, you must also have personal insurance coverage that meets your state’s minimum coverage limits. Clean Driving Record. Though driving record standards vary by company, major violations such as reckless driving or driving while intoxicated will likely disqualify you from consideration. For lesser offenses, such as speeding or failure to signal, you typically can’t have more than two in a three-year period. However – and this is a big distinction with driving a taxi – you do not need a commercial driver’s license to work for a TNC. A regular, unendorsed license is fine. Clean Criminal Background. You can’t have any felony conviction on your record. Misdemeanor property crimes (such as vandalism), drug crimes, theft, or any sexual offenses may also disqualify you. Previous Experience. This isn’t necessary to become a driver. However, in more competitive markets such as Los Angeles and New York City, Uber and Lyft both actively poach taxi drivers and even other ride-sharing drivers. So if you’re a current taxi driver, you may be able to negotiate a signing bonus by switching loyalties. Choose Your App. First, check that your chosen provider operates in your area. As of summer 2014, Uber is in more than 100 U.S. cities and metropolitan areas. Lyft is in slightly fewer, so Uber may end up being your default choice. However, there’s no law or company policy against driving for multiple apps. Once you choose an app, download it and create a username and password. Fill Out Your Basic Info. The app’s initial intake form asks for your contact information, your previous professional driving experience, and possibly the type (for instance, Uber has several levels of ride-sharing services, from the taxi-like UberX, to the limo-like Uber Lux) or hours of driving you want to do. Submit to a Records Check. Ride-sharing companies conduct background checks through third-party companies – for instance, Uber uses a firm called Hirease. To submit, you must provide your driver’s license number, Social Security number, aliases, and previous addresses. The company uses your driver’s license number to complete a driving record check. Have Your Vehicle Inspected and Approved. The company must verify that your car meets its minimum standards and is in good working order. Some companies, such as Uber, ask you to upload your vehicle registration and insurance documents, along with photos of its exterior. Others, such as Lyft, may actually send a local employee to inspect the vehicle in person. Take a Virtual Training Course. If you pass the background and driving record check, you’ll be granted access to the drivers-only section of your app. You then need to complete a straightforward virtual training course that explains the app’s operation, company protocols, and employee/driver policies. Provide Bank Account Information. TNCs pay by direct deposit, typically every week. So you need to provide bank account information before you can officially start driving. Once your training is complete and you’ve provided bank account information, you’re ready to begin accepting rides. Though your timing may vary, reports from both Uber and Lyft drivers indicate that the driver approval process takes anywhere from one to three weeks, depending on how long the background check takes. Once you’re approved to drive for a ride-sharing company, you can immediately begin accepting rides. You’re not given a set schedule, number of hours, required driving locations, or scheduled pickups. You simply drive when and where you want. Though the exact sequence varies by company, you typically begin a driving session by logging into the drivers-only section of the app on your phone and turning your status to “Available.” When a rider requests a pickup, you receive a notification if you’re the closest driver to him or her. In limited cases, you may be able to decline or avoid a ride (usually only if the rider has a low rating from past drivers, though the less-popular SideCar offers drivers more freedom to decline rides from well-reviewed riders). You’re shown the rider’s location, name, phone number, picture, and destination. In most cases, when you arrive, you’ll see him or her waiting for you on the curb – but if the pickup location is crowded, you may need to call the rider. When you do make contact, you should always ask the name of the rider to ensure you’re not giving a random person a free ride. To start the fare meter running, you need to hit the “Begin Ride” button (or similarly named button, depending on the app) on your phone’s screen. Once you reach the rider’s destination, you hit the “End Ride” (or similarly named) button. At this point, the rider’s stored credit card is automatically charged for the fare. TNCs typically take 20% of the base fare and give you the remaining 80%. However, riders can provide an additional gratuity through their app (depending on the service, they may have to do this before the ride ends). All money goes into an escrow account controlled by the company, and then transfers into your bank account via weekly direct deposit. By contrast, taxi drivers typically accept cash payments or need to enter credit card numbers manually into a mobile payment processing device. After the ride ends, both you and the passenger rate one another. To ensure quality, ride-sharing companies require drivers to maintain high ratings, though the exact rating varies by company – for instance, Lyft’s requirement is 4.5 out of 5 stars. And if you rate a passenger poorly, typically 3 out of 5 or lower, you won’t be connected with him or her again, even if you’re the closest driver. When You Drive. 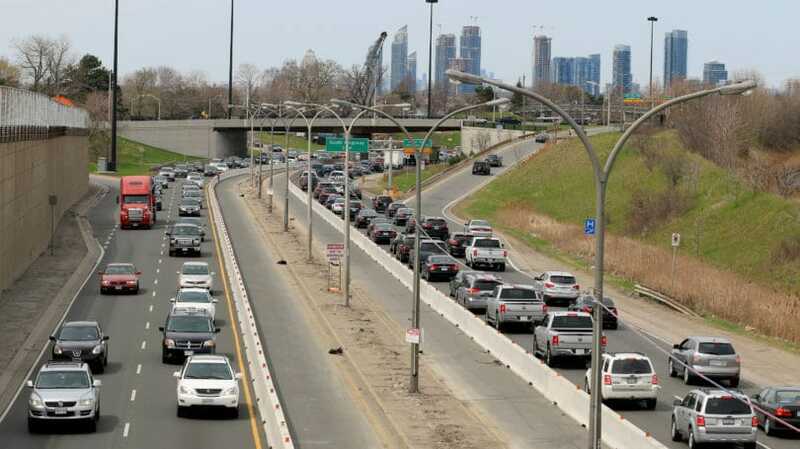 Driving during peak periods can boost your earnings. Ride-sharing companies may increase fares – a concept known as “demand pricing” – during rush hours, on busy weekend evenings, and any other time demand as high (such as when there’s a convention or major sporting event in town). Depending on their policies, they may pass some or all of the higher fares on to drivers. (Peak fares typically come in the form of higher per-mile and per-minute fees, though some services may attach a surcharge to the base fare as well.) You’re also likely to get more fares during weekday rush hours or weekend evenings. And rider volume may be higher than usual during extended periods of inclement weather, such as snowstorms, tropical storms, excessive heat, or bitter cold. Where You Drive. The market in which you drive can affect your earnings. Uber and Lyft, in particular, often try to undercut the other (and taxi companies) in cities where they both operate. For instance, a much-publicized decision by Uber in mid-2014 saw the company slash its New York fares by nearly 50% to undercut the city’s dominant yellow cabs. Obviously, such moves can reduce earnings for drivers. Also, different neighborhoods can produce different results – if you drive in a business district or bar-filled city neighborhood, you’ll probably make out better than you would in a quiet suburb. Your Experience. Over time, you may pick up strategies that can boost your earning power. For instance, instead of parking on an out-of-the-way side street and waiting for a request, an Uber-driving acquaintance of mine spends her idle time circling the block near downtown hotel clusters, where businesspeople regularly request rides to the airport. Since she’s always close, she gets a constant stream of rides. And once she’s at the airport, it’s usually not long before someone requests a ride back into town. If you’re thinking about driving for a ride-sharing app, you probably already own a vehicle, so you already have to deal with some of these expenses. However, each of these costs is likely to increase, whether due to the fact that you’re self-employed (taxes) or that you’re driving more. Tips. As with any tipped job, there’s an element of chance to being a ride-sharing driver. One day, every fare could tip you more than the default amount. The next day could feature only a handful of fares and no tips. In my market (Minneapolis-St. Paul), Uber and Lyft fares are roughly similar: Uber charges a $0.60 base fare, $1.65 per mile, and $0.23 per minute. Lyft charges a $0.68 base fare, $1.71 per mile, and $0.22 per minute. For comparison, the fee structure in New York includes a $3 base fare, $2.15 per mile, and $0.40 per minute. However, drivers’ earnings can still vary significantly. For instance, the previously mentioned Uber driver who makes regular runs between the downtown vicinity and the airport claims to make an average of about $15 per hour – or about $300 per week for 20 hours of work, before expenses. Previously, she worked as a taxi driver, also earning about $15 an hour before expenses. But since her routes are more efficient now, with no scheduled pickups and fewer idle periods, she drives less and is less strapped for cash overall. By contrast, my local contact at Lyft says he makes an average of $20 per hour, and as much as $30 per hour on weekend nights before expenses. Depending on when he works, he can earn between $200 and $300 a week for 10 hours of work – substantially more than taxi drivers in this area. As a student, he spends most of his time near a major research university, taking fellow students on lots of short trips between academic buildings, workplaces, and bars. And it’s worth noting that drivers can earn even more in bigger cities – drivers in New York can earn $30 to $40 per hour, depending on which neighborhoods they drive in, and when they drive. Compared to driving for a taxi company, you don’t have to jump through very many hoops to drive for a TNC. You don’t need a commercial driver’s license, which you have to take a lengthy test and pay a fee to obtain. The background-checking process is less extensive as well: Whereas TNCs just require you to fill out an online form and provide your Social Security number, many municipal taxi commissions require all new drivers to be fingerprinted at a police station. And there are generally a fixed number of taxis allowed on the road in any given city. So if there are enough drivers to fill those vehicles in your area at the moment, your local taxi companies might not be hiring. Ride-sharing companies don’t provide set schedules or minimum hours-worked requirements for their drivers. You can drive as much or as little as you want, and whenever. Like my Uber friend with the airport-downtown route or the Lyft guy who loves college students, you can also choose your preferred neighborhood and stay there as long as you like. Taxi drivers may have less control over their schedules, which typically include set shifts, and may be required to pick up fares over their entire service area. When you drive for a TNC, the app provides all the information you need to make pickups: You see the location, destination, and contact information for your fare. You don’t have to communicate with a dispatcher or supervisor by radio, which can take time and lead to miscommunications. And since there are no scheduled pickups, you can pick up fares as quickly as you’d like. You never have to budget time to drive to a scheduled pickup location. Driving for Lyft, Uber, or another TNC is a good way to make money, but it’s also more than a transactional experience. While each company has a different culture, all encourage some degree of personal connection between riders and drivers. For instance, Lyft encourages riders to sit up front and greet drivers with a fist bump. By contrast, many taxi riders don’t have an expectation of social interaction with drivers. Some may shy away from it altogether. If meeting new people is a priority for you, working for a TNC may be a better fit. However, these situations may not always be convenient or pleasant. For instance, rush hour shifts may involve getting up early and driving in heavy traffic. Weekend evening shifts may require you to sacrifice personal time and stay up late, which can be a problem if you also have a day job. You may also have to deal with intoxicated passengers at night, which can be unpleasant. And during demand pricing periods, you could be competing with many other drivers, resulting in fewer rides (despite higher earnings per ride). When you drive for a taxi company, you may not have to use your personal vehicle. However, with ride-sharing apps, you do have to pay for your own car’s maintenance and repair. This can increase your overhead costs. And if your car sustains damage that isn’t covered by your TNC’s liability, collision, or uninsured motorist policies, you could be financially liable up to the amount of your personal policy’s deductible. Some cities and counties encourage companies like Uber and Lyft to operate within their borders. However, others are more hostile, restricting the number of TNC drivers that can operate at any given time. A few ban TNCs altogether, arguing that they need to be subject to the same regulations as taxis. Some TNCs may disregard local rules, continuing to operate where they’re banned or hiring additional drivers in violation of numerous restrictions (Uber is notorious for this). It’s your responsibility to stay abreast of the rules in your area and understand that you could be arrested for not following them. Ride-sharing drivers are independent contractors, not W-2 employees. As an independent contractor, you’re responsible for setting aside enough money from each paycheck to cover your tax bill, which may include quarterly estimated tax payments. Also, even if you work more than 40 hours a week, you’re not entitled to receive overtime pay. No TNC offers healthcare plans, retirement accounts, or other benefits. Separately, there’s no labor union or advocacy group that TNC drivers can join, so you can’t expect to have any negotiating power or leverage with your employer. The flip-side of low barriers to entry is competition. Since it’s relatively easy to become a TNC driver, lots of people do it. And though more riders sign up for these services every day, more drivers do as well. 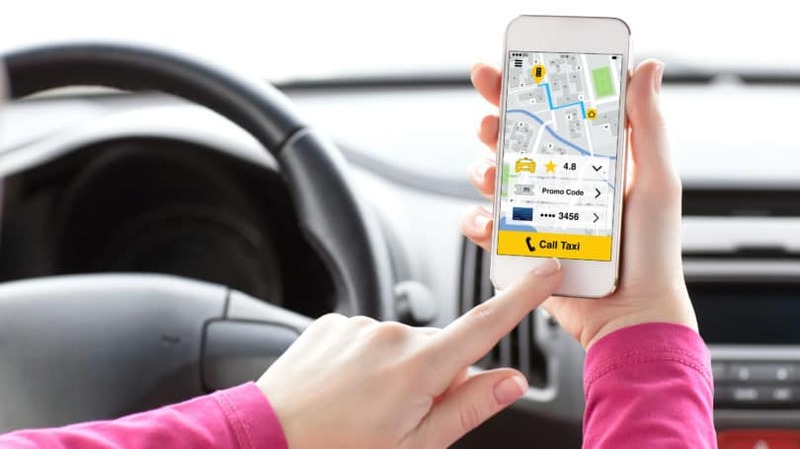 Unlike taxi services, which often distribute fares equitably among drivers, ridesharing apps simply award fares to the closest available drivers – a more efficient system for riders (and the app itself), but more competitive for drivers. Does that sound like you? If so, maybe I’ll see you on the road sometime. For enterprising people who own their own cars and enjoy driving, ride-sharing apps offer a significant opportunity. You can use platforms such as Uber and Lyft to start your own side business and begin earning extra income in your spare time. If you have the inclination and discipline to drive 40 hours a week or more, you may be able to earn a comfortable living from your work as a driver alone. However, like any job, driving for a ride-sharing app has challenges and drawbacks that shouldn’t be underestimated. If you find that cruising the streets as an independent contractor isn’t your cup of tea, there are plenty of freelance jobs online that don’t keep you behind the wheel for hours on end. Have you ever driven for a ride-sharing app? What was your experience like?